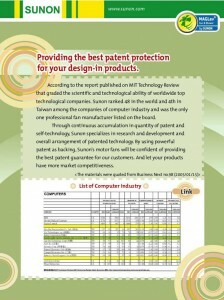 Providing the best patent protection for your design-in products. 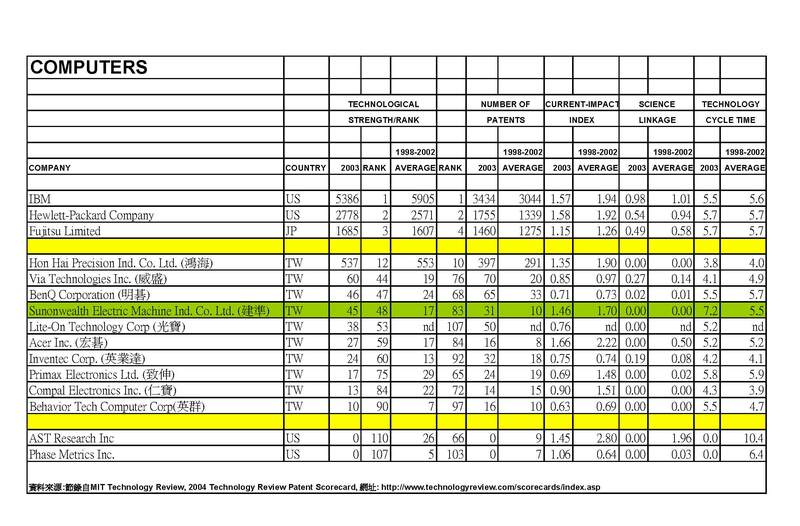 According to the report published on MIT Technology Review that graded the scientific and technological ability of worldwide top technological companies. 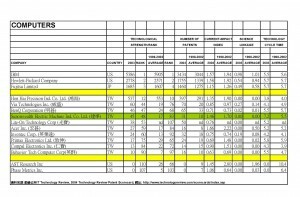 Sunon ranked 48 in the worl and 4th in Taiwan among the companies of computer industry and was the only one professional fan manufacturer listed on the board. Through the continuous application of engineering expertise and disciplines in new generation technologies, has resulted in over 621 patents. 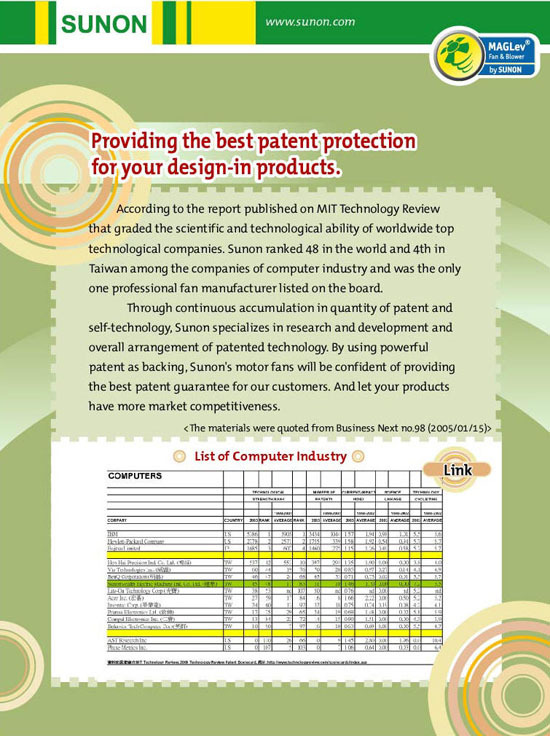 Sunon’s continuous focus on research and development, coupled with an inherent “self technology” bred within the company, offers customers an unprecedented level of product technology and years of dependable performance, by applying these and future emerging patents to our product family.